We hope to see you at the 10th Annual Wine Walk & Shop event on Friday, July 13, 2018 in Historic Downtown Jeffersonville! 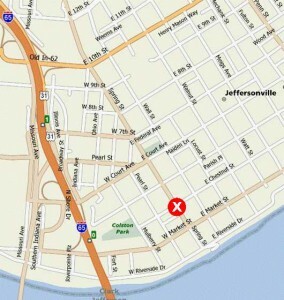 The event is hosted by Jeffersonville Main Street Inc., a nonprofit downtown revitalization organization, and the merchants of downtown Jeffersonville. This fun-filled event features many wine tasting stations and a variety of hors d’oeuvres located within the downtown shops. There will be five live music acts on the sidewalks, and special sales at locally-owned shops. TICKETS ARE $20 PER PERSON. The registration table for Wine Walk & Shop will be inside the Glossbrenner Garden at the corner of Spring and Chestnut Streets. EVERYONE (even those who bought tickets in advance) must stop by this table on the night of the event to have their ID checked and receive their wristband, program, and wine glass before they can participate in the event. Because this event celebrates wines, we operate under the laws and regulations pertaining to alcoholic beverages. We also are very concerned about your safety and well being and want everyone to have an enjoyable evening and return home safely. We ask that you respect the following rules in order for us to continue into the future with this new event and for you to have a terrific evening. The registration tent will be located inside the Glossbrenner Garden at the corner of Spring and Chestnut Streets on the day of the event. SEE MAP ABOVE. If you purchase tickets in advance (either in a shop or online), you will still need to present your photo identification on the day of the event when redeeming the advance ticket purchase for your glass at the registration tent. Each participant will have a wristband attached by one of our volunteers and each participant must personally come to the registration tent to do that. One person cannot pick up wristbands for a group. The wristband is proof of legal drinking age as well as proof of participation fee payment. When you arrive at the registration tent/wine glass sales area we will collect your payment (or redeem your advance sale ticket), you will show proof of identification, you will receive your wine glass, wristband, and a program guide. You will then be free to go on the wine walk, enjoying your wine tasting inside our downtown businesses while listening to live entertainment throughout downtown. You must consume your wine sample inside the business where you receive the wine sample. You cannot take wine onto the public sidewalks or streets. 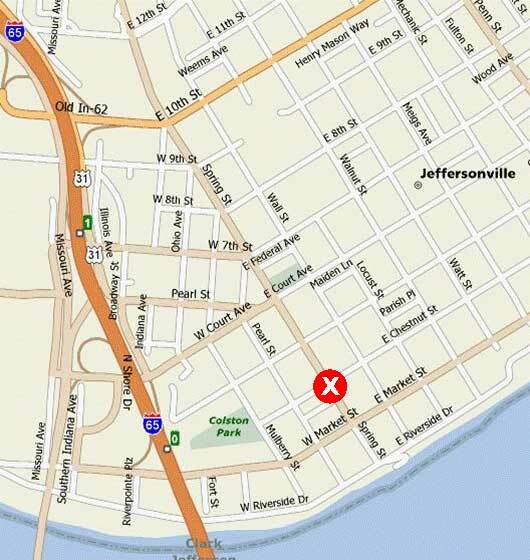 Parking is available throughout Downtown Jeffersonville on the streets and in public lots at Chestnut Street (next to Preservation Station), and the corner of Spring and Market Streets. Wine Walk and Shop is a tasting event that is designed to allow you to sample a wide variety of different wines. The amount of wine that is poured as a sample tasting is controlled to a limit of approximately .5 ounces. We are required by law that the tasting take place within the premises that you received the tasting. We ask that you complete your tasting experience within the business before strolling to the next location. Participating businesses will be clearly marked so you will know where you can or cannot go with wine in your glass. We appreciate your help in observing these rules and hope you enjoy Wine Walk and Shop! We look forward to your visit and hope you come back.